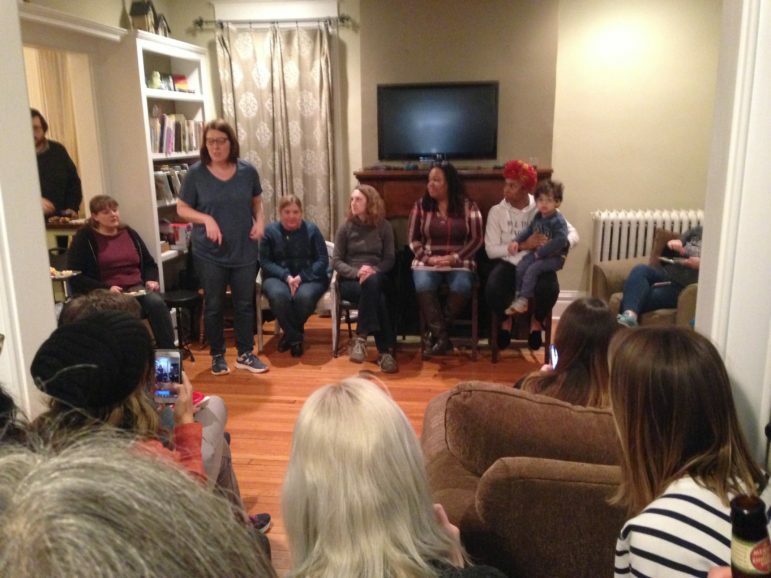 Four candidates running for posts in the April 2 municipal elections in Maplewood spoke to a gathering hosted in a Maplewood home on Myrtle Avenue Sunday evening. About two dozen came to hear city council candidates: Jennifer Schmidt (Ward 3, incumbent) and Eleanor Pardini (Ward 2), and Maplewood Richmond Heights School Board candidates: Brandi Herndon-Miller (incumbent) and Nikylan Knapper. See a video of comments all four made on the Maplewood Community Builders Facebook page. Also, see Nikylan Knapper’s comments on Nikylan for MRH School Board Facebook page. Jennifer Schmidt is being challenged by Scott Criscione for the Ward 3 seat. Eleanor Pardini is running unopposed for Ward 2. The invitations for this were announced where? Pickett, I believe invitations were through Facebook and word-of-mouth.